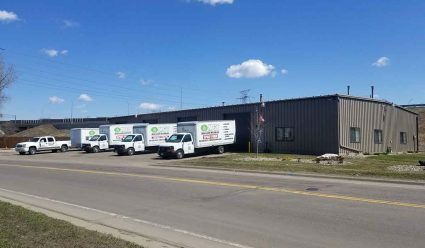 About Us - MGT Insulation, Inc.
At MGT Insulation, we are proud to be a family-owned and operated Twin Cities insulation company dedicated to expertly providing comfort and energy saving insulation solutions to residential and commercial clients like you. With over 140 years of combined insulation industry experience, we can handle all aspects of your insulation, sealing, or ventilation project – from the foundation of your home or business to the top of your attic! We are known for our experience and vast knowledge of the insulation process and industry. We’re able to tackle projects that others won’t, which is why many of the Twin Cities’ most seasoned contractors, weatherization professionals, and energy auditors refer our services exclusively! We stay on the cutting edge of information and technology in our industry. We do this so we can bring this education directly to your project, giving you the most advanced service possible. We work closely with you to ensure that you have the information you need to make the best decisions about your energy choices! Our advanced weatherization techniques and diagnostic equipment are the best on the market, which allows us to tackle your insulation project with minimum disruption to your daily life. AT MGT, our mission is to provide you with the most outstanding service experience possible. From the very first call, we are committed to communicating with you throughout your experience. Our crews show up on time, uniformed, and ready to serve you.